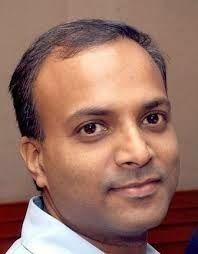 L V Prasad Eye Institute (LVPEI) and Microsoft India Development Center (MSIDC) of Microsoft India (R&D) Pvt Ltd today announced the launch of a Computer Training Centre for the visually challenged at LVPEI’s GMR Varalakshmi Campus, Hanumanthawaka Junction here. This is the third joint initiative completely funded by monetary contributions received through the Employee Giving Campaign at Microsoft India Development Center, the first two being the Mobility & Sensory Stimulation Park LVPEI Kode Venkatadri Chowdary Campus in Vijayawada and a Helpline for Visually Impaired launched last September. The Computer Training Center, launched by Dr Gullapalli N Rao, Founder & Chair, L V Prasad Eye Institute, and Mr Anil Bhansali, Managing Director, Microsoft India Development Center (MSIDC), is open to any visually impaired student who wants to learn computer skills for educational and employment purposes. 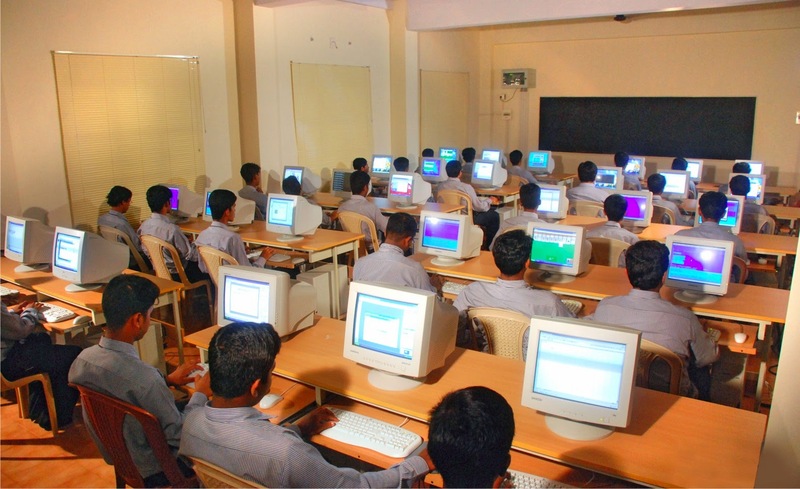 The three-month program uses assistive technology in the form of screen reading software such as JAWS, MAGic and Window-Eyes, and teaches Microsoft Office such as Word, Excel, Power Point, Internet Explorer, accounting packages such as Tally and software languages such as C,C++, Java, HTML and SQL. Combined with soft skills and communication training, the course helps build confidence and increase the employability of the visually impaired students. The center aims to train a total of 128 students including blind (n=32) and low vision (n=96) in the next 12 months. “We chose to partner with LVPEI and Sankara Eye Care Institutions, given their commendable achievement in this field. We have achieved quite a bit. Thanks to LVPEI efforts, more than 4000 sighted and visually impaired individuals visited the Mobility and Sensory Stimulation Park while the helpline successfully answered 1500 enquiries regarding medical intervention, assistive devices, employment opportunities, mobile applications, audio books, educational courses, etc. The numbers are growing month on month. Our contributions helped Sankara achieve quite a bit since November 2013—they conducted vision screening for more than 71,000 school going children, 300 pediatric cataract surgeries, delivered spectacles to 1100 plus kids with refractive error and successfully treated nine cases of retinoblastoma. I am thankful to our employees for their generous donations towards such a noble cause,” Bhansali said. PayPal India, in partnership with The Indus Entrepreneurs (TiE) Chennai, today announced that it is launching the Start Tank Incubation Challenge through which it will induct up to five startup companies into the Start Tank Incubation Center located within PayPal’s premises in Chennai. The unique challenge aims to identify and nurture some of the country’s next generation technology-centric startups. Applications are open for startups across India with qualifying rounds in Chennai (September 20), Madurai (September 27), Salem (October 11), Bangalore (October 18), and Tuticorin (October 18). Up to five of the shortlisted applicants will be finally selected through a joint selection process by PayPal and TiE as part of PitchFest 2014. 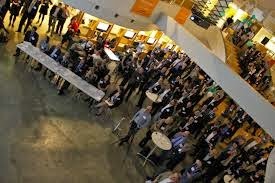 Pre-venture-funded, seed or early-stage technology startups can benefit from TiE’s business mentorship leveraging its seasoned entrepreneur pool, PayPal’s technical mentors and eBay Inc.’s global technology and product competency. “TiE Chennai is proud to be associated with PayPal in its mission to create a vibrant startup ecosystem. The incubation center created in PayPal facility – mentored by TiE Charter members and PayPal executives has made a difference to young entrepreneurs. Our dream is to the see the emergence of recognizable brands from Start Tank,” Lakshmi Narayanan, President, TiE Chennai, said. 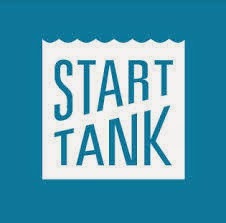 Interested applicants can register for Start Tank Incubation Challenge at http://chennai.starttank.com/apply or at http://tiechennai.com/pitchfest/application. Imergy Power Systems, a pioneer in advanced energy storage, today announced a $7.5 million working capital credit facility for its wholly-owned, Imergy India Pvt. 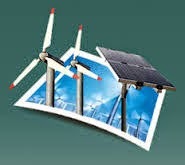 Ltd. (Imergy India). The new facility, provided by ING Vysya Bank Limited, affords Imergy an even greater ability to fund its rapidly growing business for both telecommunications and commercial and industrial applications in emerging markets. Enterprises around the world are preparing to enter the digital age, with over US$30 trillion in market capitalization across 8 key verticals ready for disruption, revealed the latest study by Zinnov, a globalization advisory and management consulting firm. The study on “Enterprise Digital Transformation-The next era is already here”, launched today, identified the market size for digital transformation, areas that demonstrate high potential for digital transformation, and the opportunities for India to take the lead in this space. In order to drive exponential business impact, today’s data-driven enterprises leverage contextual public & internal enterprise data, and employ new-age technologies for generating deep insights that are both predictive and prescriptive. Zinnov study found that 465 new companies moved out of the Forbes 2000 list between 2011 and 2013 and another 550 companies will move out the list between 2013 and 2015 because of disruption from the digital age. Almost 50% of the companies in the Forbes 2000 list will experience churn from the list because of the impact of the digital era. The study highlights 6 key areas where organizations need to digitally transform themselves range from better targeting & engagement, supply chain optimization, digital products & services, to workforce & partner enablement, and operational excellence & risk management. The study reveals that enterprises will need to spend US$70 Billion in 2015 in order to stay competitive against new emerging digital native organizations. This spend is expected to grow at a CAGR of 26% to reach US$230 Billion by 2020. Of this, enterprises in North America are expected to take a lead with a spend of US$26 billion which is expected to reach US$73 billion by 2020, propelled by the presence of digital hubs in Bay Area and New York City, and the availability of a more mature digital ecosystem. The study also indicates that verticals with a high degree of direct consumer connect are likely to witness greatest degree of disruption. These verticals include Retail, BFSI, Media &Entertainment, and Travel & Hospitality. In addition, the study revealed that while a majority of organizations over the last 5 years have been focusing on modernization of IT Infrastructure, the same strategies cannot be applied for enterprise digital transformation as they both are fundamentally different. The impact EDT has on the entire value chain and the stakeholders required to drive the change management are critical differentiators. The study outlines a recommended approach for enterprises embarking on a digital transformation journey. The study reveals that large organizations willing to drive their digital transformation roadmaps will need to focus on multiple initiatives. This includes relooking at their organization structure and building capabilities for a digitally enabled organization. Organizational re-structuring will result in creation of new roles such as chief digital officer, data scientist, data visualizer etc. However, in order to build these capabilities, firms will need to invest in skills in areas such as Machine Learning, User Interface Design & Development, Mobility, and Data Analytics. India, with a strong technology ecosystem of MNC R&D centers, service providers, IT global in-house centers, and startups is well placed to play key role in the digital era. Indian talent can potentially power the digital transformation for enterprises around the world. The study estimates that India is home to digitally ready talent pool of 500,000 engineers suitable to execute digital transformation projects. This is expected to increase to around a million engineers in 2020. Taking advantage of this trend, global service providers such as Accenture, Cap Gemini, and Pivotal software are making digital one of their key focus areas. They have created practices to offering services from consulting to implementation support. Given the nature of skills required to execute Digital Transformation projects, service providers with strong product engineering services capabilities are well positioned to take a leadership role in the industry. This need for product engineering capability is seeing niche product engineering focused service providers such as Persistent, Symphony Teleca build deep digital capabilities. “Enterprise digital transformation is fundamentally different in objective and approach from the modernization of enterprise IT. Separating the two is crucial for enterprises to approach digital transformation as a technology led or software driven business journey. Persistent Systems, with our DNA of building software products and businesses, is working with several customers on this journey and is strongly positioned for this market opportunity.” says Anand Deshpande, Chairman, Managing Director and CEO, Persistent Systems.